Your website establishes your online presence and both attracts users, and keeps them coming back. Users from around the world have the ability to view your website, and therefore, the capability to steal your website content! The hard work you put into building your webpage content is valuable- and like anything of value, you need to know how to protect it. Copyright registration can be costly and time consuming, but have no fear- you do not have to have a copyright registration in order to protect your work. Copyright protection begins when a work is created, so long as it is a work that qualifies for copyright protection under U.S. Copyright Law. E.g. © 2013 Nina Ameri. *Note that the symbol © is often difficult for web designers to insert onto a page without changing the format. 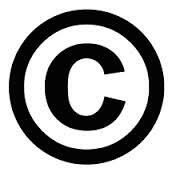 The word “Copyright” is just as useful as the symbol ©. Terms and Conditions Link: insert a link that opens a disclaimer page and details the protection on your work. E.g. : “ All rights, including copyright, in the content of this web page(s) are owned or controlled for these purposes by . Disable “Right Click Copy”: Web designers can create a function that does not allow users to copy content from your webpage, right-click it and choose copy. When the user attempts to copy any content or images from your webpage, a disclaimer notice can pop up and notify the user that there is no license to copy the content selected. The most important message to get across is that you are the owner of your work, and that no one has the right to copy or use the materials you have created!